So Who Won the Music Wars? Another day and another retailer closes down on the high-street. It wasn’t too long ago that many organisations thought a website was a nice to have, or even a necessary evil – sort of like a fax machine. Now some of these organisations are being shut down by their Internet-based competition. I guess they never saw that coming. However, this is not a new battle. Yes, it’s a click versus brick and mortar war, but talk to anyone who grew up in the 1980s and they’ll remember things like the cola wars. Coca-Cola and Pepsi battling each other for market share, paying massive amounts to pop stars to endorse their brands and even launching their brands into space. While there have been many similar battles over the years, probably none are as interesting as the format wars, the most famous of which has to be VHS vs. Betamax. Who Ever Owned a Betamax? While competitors will often launch different technologies or formats (what better way to lock consumers into your products – Apple has done a great job in this regard), history makes it very clear that the best technology or format is not always the winner. The Betamax video cassette format produced a better quality picture but for a number of other reasons eventually lost, with VHS becoming the de facto standard. Of course, this type of format war can be traced back hundreds of years. In the 1800s Isambard Kingdom Brunel built the Great Western Railway using a rail gauge much wider than the Standard Gauge introduced by Stephenson and already in use in Britain. This broad gauge was the optimal size to provide for broader train carriages, greater passenger comfort, and higher train speeds. Unfortunately, this format was never adopted because of the existing investment in the Standard Gauge the other rail companies already had. When Brunel died, the Great Western Railway was converted to the Standard Gauge. Once again the inferior format had won. It’s not all doom and gloom for the better technologies and formats, though. Take for instance Alternating Current (AC) as found in our wall sockets versus Direct Current (DC) as found in batteries. This was a war fought between Edison – who supported DC – and Tesla, the advocate of AC. Edison is almost a household name but fewer people are familiar with Tesla, who in many regards was a better inventor and innovator than Edison. The story is an interesting one, involving two very interesting personalities, but in the end, it was Tesla’s AC that won. Chalk a victory up for the superior format. Many fortunes have been won and lost by companies investing (or not) in particular formats. The recording industry is currently on the back foot and probably has been since the compact cassette entered the mainstream in the 1960s. This slide then continued with the commoditisation of recordable CDs, and it seems the industry has now hit rock bottom with the prevalence of electronic formats such as MP3. Lately, however, something very interesting has happened. Again, something that no-one could have predicted. 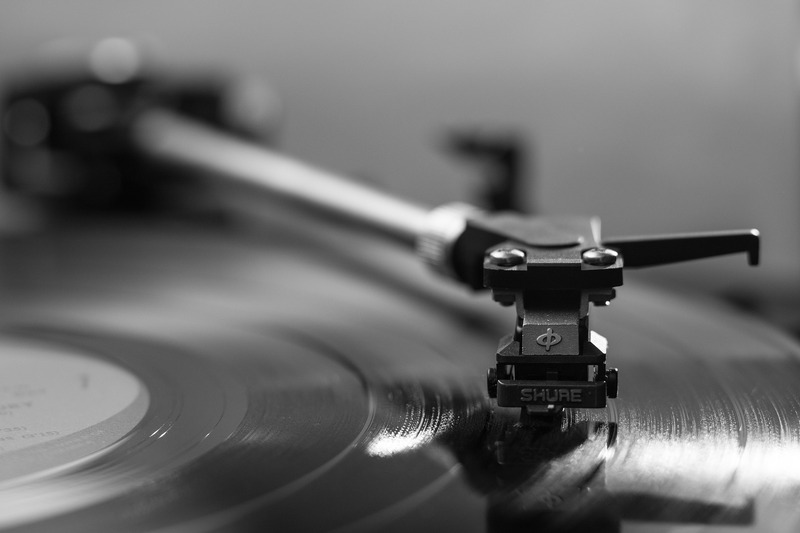 The resurgence of the LP record – or vinyl as aficionados refer to it. Sales are up 78% (Source: NME) this year – an almost unbelievable statistic given that the format was essentially dead a few years ago. While vinyl sales only make up a very small percentage of the overall market it’s still important to ask why vinyl is back in vogue. Well, firstly it has a ‘cool factor’ as do many retro products, but more importantly, it provides an experience that cannot be easily created by other formats. There is a good lesson for traditional retailers to learn here. They need to find out what their unique selling proposition is and how to turn this into a great customer experience. Then they need to convince us. Can we as consumers be convinced? Well, we never thought that the LP record would have outlived the compact cassette. Who Won the Music Wars? | gunterrichter.com”.